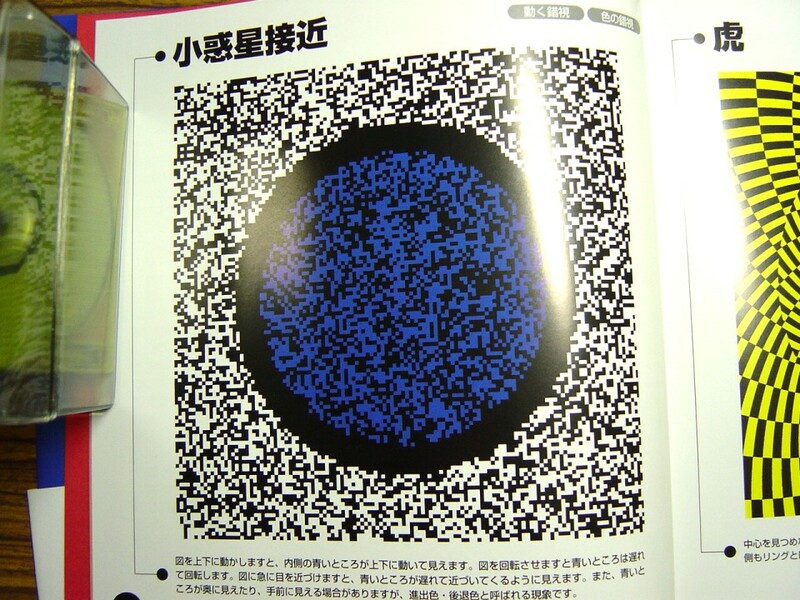 A lot of the illusion works exhibited on this web page have just been published on 9th December, 2002. 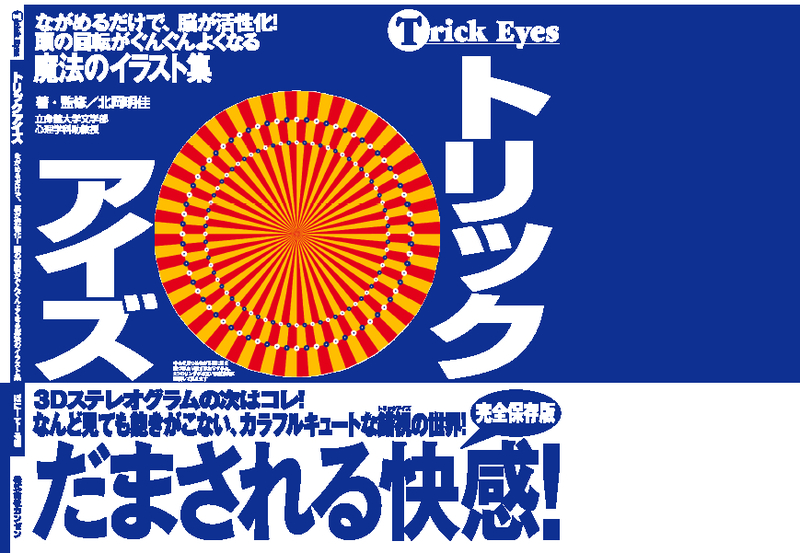 The name of the book is "Trick Eyes" (ISBN 4-901782-11-8). 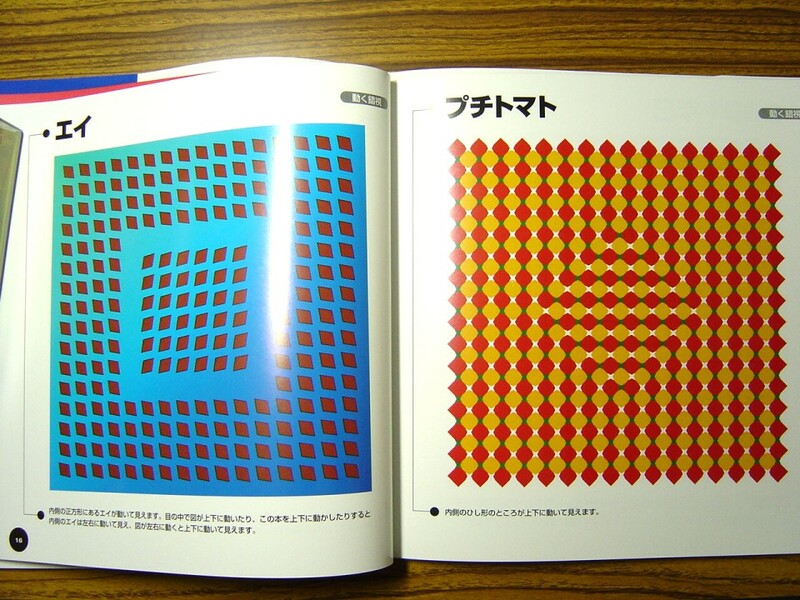 I am sorry that this book is written in Japanese. If it sells well, its English version may be published. 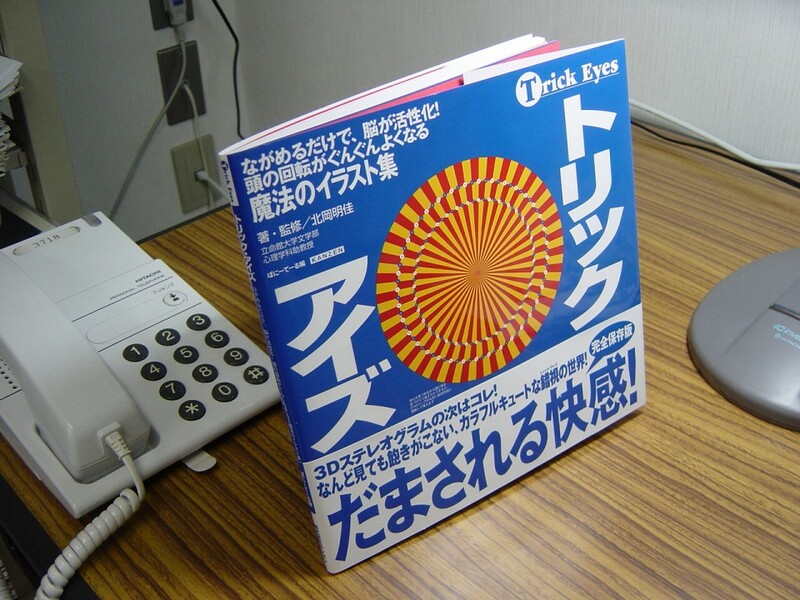 I am sorry that this Japanese version cannot be ordered through amazon.com at present. 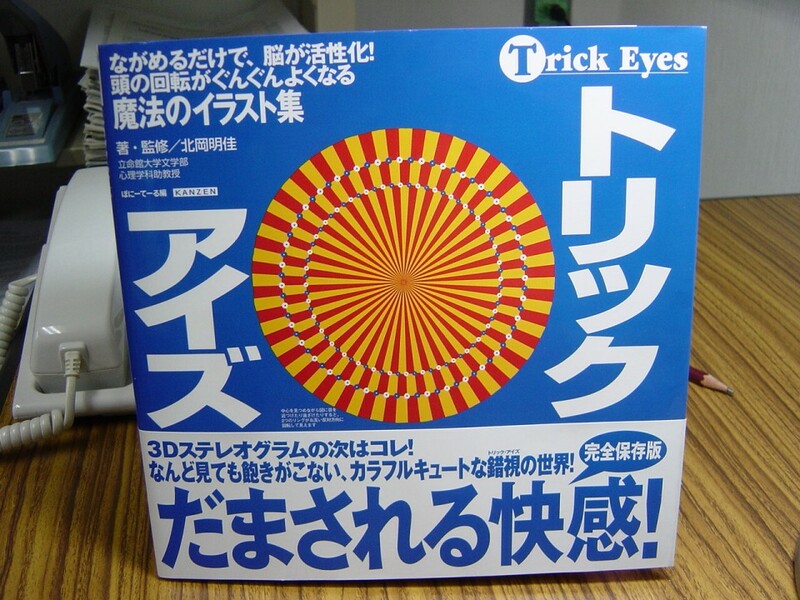 I have heard from two friends who bought "Trick Eyes" and "Trick Eyes 2" through amazon.co.jp. I will be very happy if you get them through the Japanese page of amazon.com. Click the icons shown lower, then jump to the corresponding pages. The size is "the modified A4". It's compact. The phrase written with large letters "Damasareru kaikan!" means "Pleasure to be deceived!". Swing or rotate the figure, then the inset appears to swing or rotate with some delay. 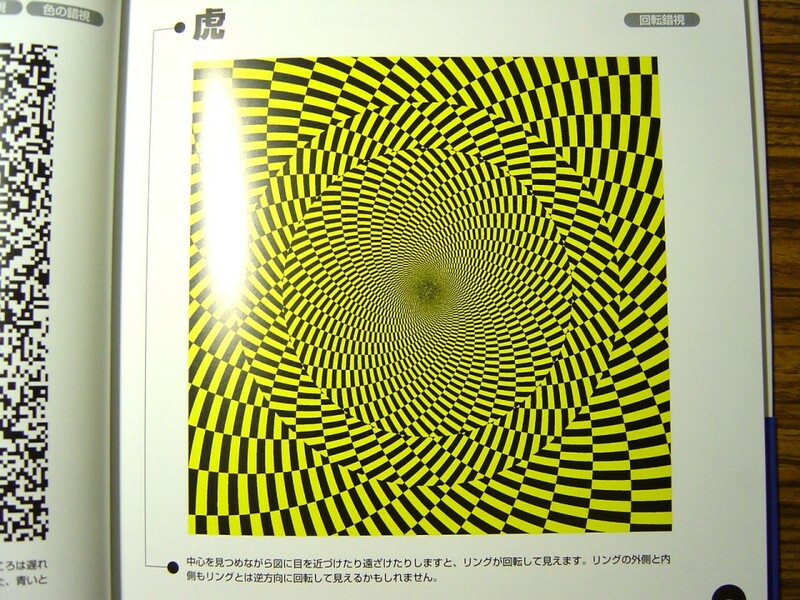 Gaze at the center and approach or leave the figure, then the ring appears to rotate.